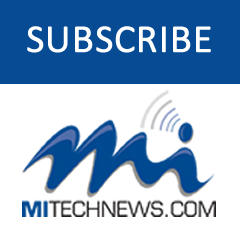 TROY — The Troy-based engineering technology developer Altair Inc. (Nasdaq:ALTR) will hold its 2018 Global Altair Technology Conference at the Palais des Congrès in Issy, Paris, France Oct. 16-18. The event will focus on sharing applications of Altair’s suite of simulation-driven innovation technologies from users worldwide. 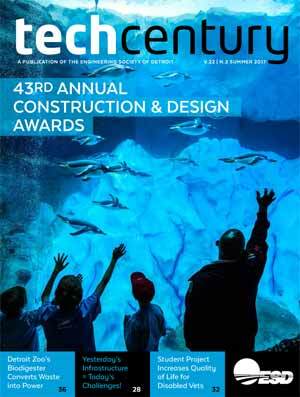 There will be technical sessions and presentations on latest technology trends, including the Internet of Things, e-mobility, electric vehicle design, and the impact of IoT, AI and machine learning on the future of design. The agenda will include workshops on Oct. 16, a full day of keynotes Oct. 17, and on Oct. 18, deep technical sessions on more than 10 simulation topics, including electromagnetics, crash and safety, fluid dynamics and model-based development. 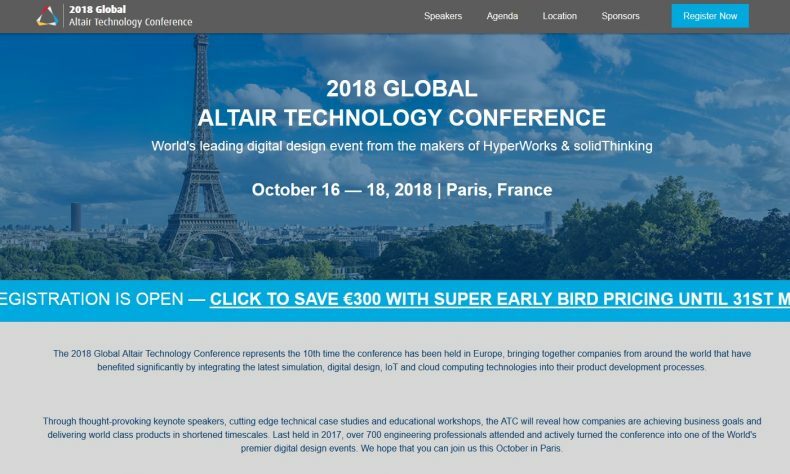 For more information on the Global Altair Technology Conference, including exhibition and sponsorship opportunities, visit www.altairatc.com/paris2018. Those interested in speaking at the event are invited to submit their abstracts to emailatcpresentations@altair.com.